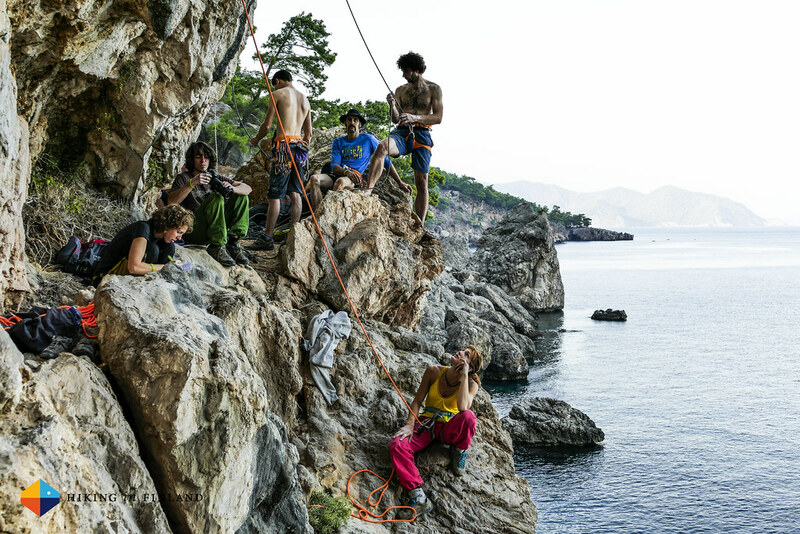 Getting the chance to join the Petzl RocTrip in Turkey last year definitely was one of the climbing highlights of 2014. 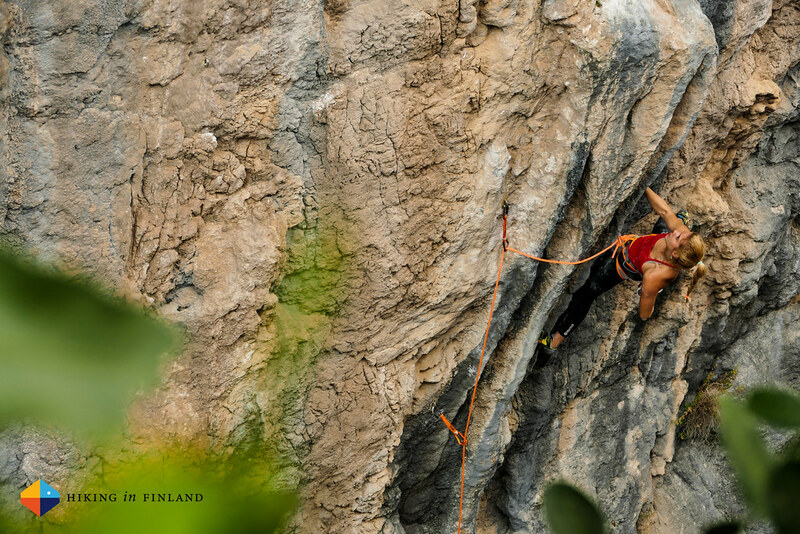 Great locations, world-class climbers, superb weather and a beautiful country - so much to like! The Approach to Turkey was loooooong: Vaasa - Helsinki, Helsinki - Moscow, Moscow - Antalya, well over 14 hours of travelling. After I arrived I happily met Nico at the airport and after figuring out where to go we got into our ride to the Historic centre of Antalya. We stayed at the beautiful Mediterra Art Hotel which really was very comfy, even if I spent there less than 12 hours in total. I dropped my bags at the room and then headed for a tasty dinner high above the old harbour, where I also met my fellow Press members. It was a very mixed bunch and I was in esteemed company: Members from Rock & Ice, Grimper, Desnivel, Outside and klettern where there along with people from the Finnish Climbing Association, the Club Alpin Belge and the NKBV and several others. 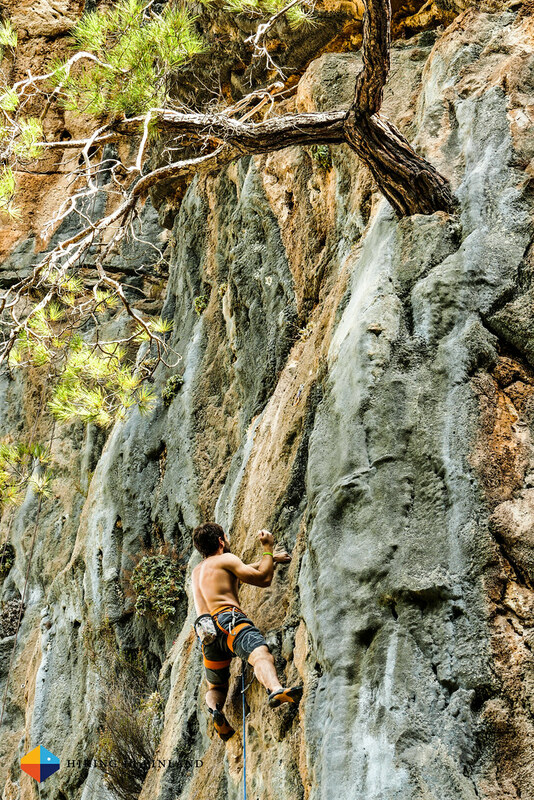 The next morning we took a short bus ride to Geyikbayırı, THE sport climbing spot. Imagine it like a spacious and very large natural amphitheatre and you get the idea of this place. Right in the centre is Kezban’s Guesthouse where we dropped our bags and then headed to Climber’s Garden where we had lunch from the beautiful terrace, just a stone throw away from Kezban’s. We met Lafouche, the guy whose idea the RocTrip has been a long time ago and the only person who has been on each one, and Erwan who organizes it nowadays. Well, after a tasty meal it was finally time to hit the rock! We headed to the Trebenna Sector which was just a short stroll down a dirt road from Climber’s Garden. The sector is north-faced and so lay in the shade, and with temperatures which felt well into the high twenties that was certainly a good choice. 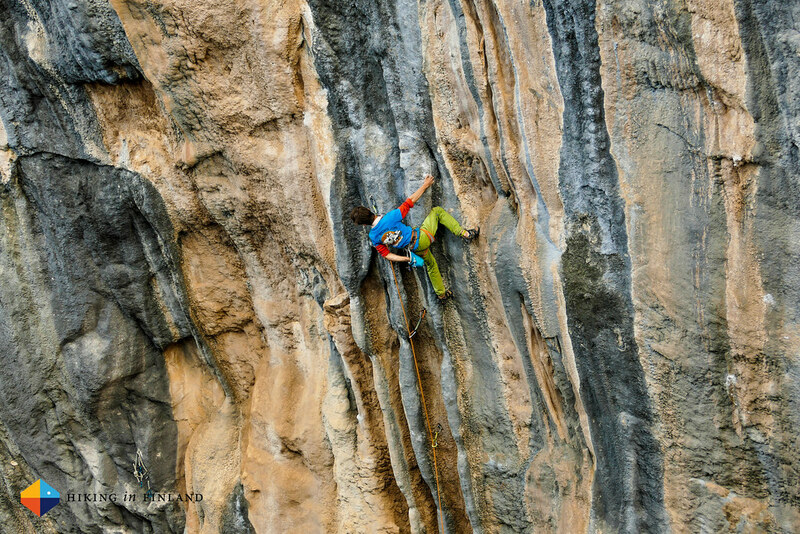 Trebenna a good sector with routes from 5a to 8b+ so is ideal for all levels. I climbed a few easy routes with Anne, Piotr and Kristina but spend most of the time taking photos of the climbing that was going down. And there was lots of that! After the climbing it was Party time! Delicious grilled Kebabs and local beer were consumed before the music at the trailer started. A big party of the RocTrip is music and so Lafouche, Said Belhaj, Sean Villanueva and a handful more of people got on the stage of the converted Airstream trailer and started to jam. People loved it and the party went on till the wee hours, with the music sounding through the natural amphitheatre of Geyikbayiri. 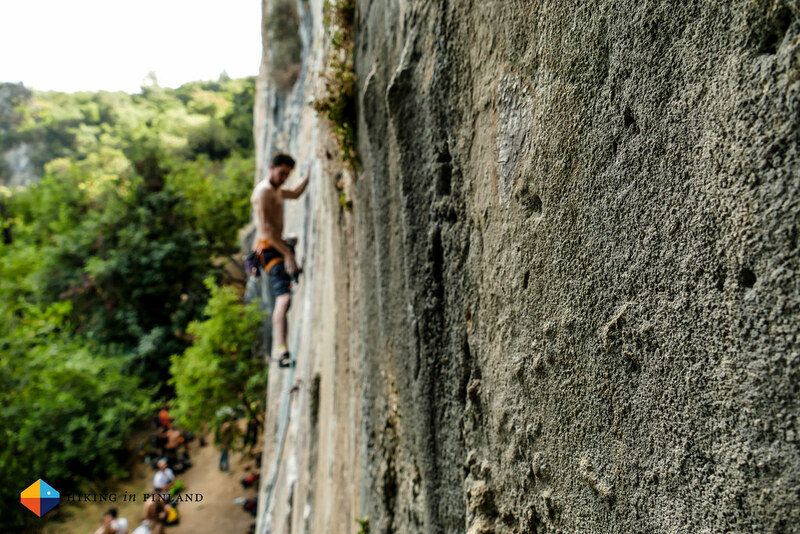 Citdibi is the sector to visit if you climb 7a and harder. 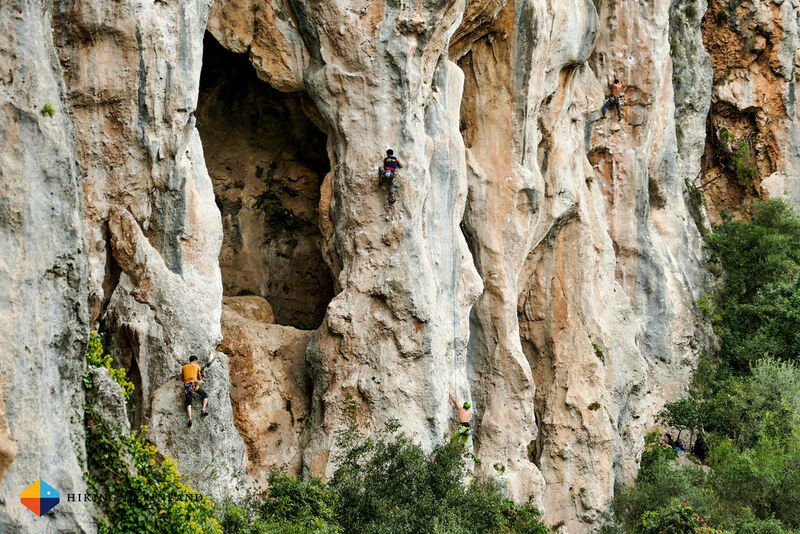 You also should have plenty of stamina, as with routes up to 150 m high, much of them on overhangs, you will get pumped. 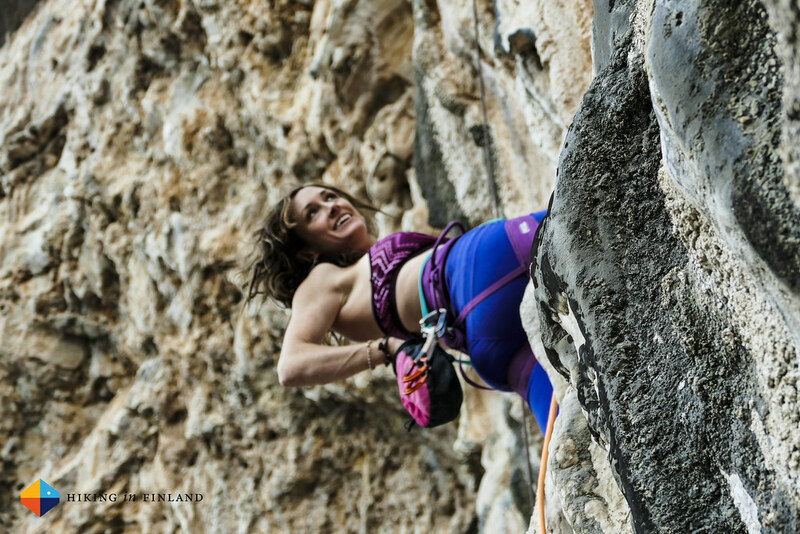 As I didn’t bother putting the climbing shoes on here I just took photos and enjoyed watching as a lot of world-class climbers like Nina Caprez, Jon Cardwell, Dave Graham and many more were enjoying themselves on the beautiful tufa routes on this beautiful limestone crag. The sector has a bit of a strenuous approach but going back down is easy. If you want to climb at Citdibi for several days you can stay less than 15 minutes on foot away at the gorgeous Masal Refuge. It’s a beautiful cabin with a superb view to the surrounding mountains, the Mediterranean Sea, Antalya and everything in between. You probably should get groceries down in the valley, though, as I saw no supermarket close by. 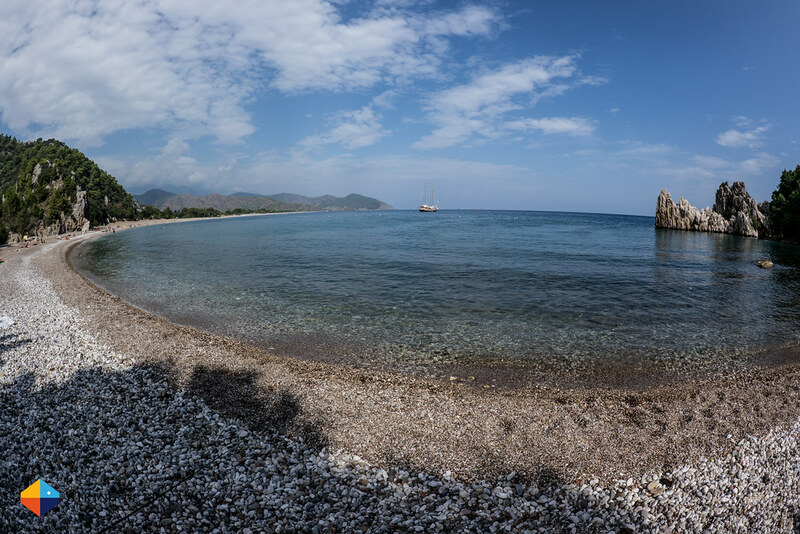 We didn’t linger long at Citdibi and continued to Olympos at the sea. The ride there was adventurous to say the least and involved driving on a “Shortcut I think there possibly maybe might be” through the mountains. We arrived in the dark at the final Basecamp, Kadir’s Treehouse.It looks like a beautiful place, with the cottages being all aloft in the air, with a large main building in the middle where breakfast & dinner was served. We did stay a tad down the road in the Kadir Family House, which was OK. I wouldn’t go there with my family, but if you’re a climber looking for a place to sleep and a hot shower then it’s OK. Don’t bother ‘bout the Wifi, though, that doesn’t work. And as we weren’t there for sleeping but climbing it was fine. 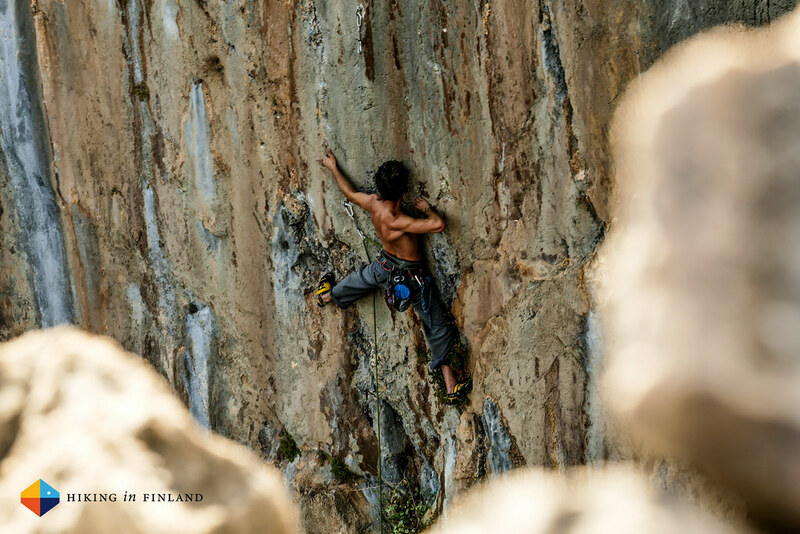 The climbing then. 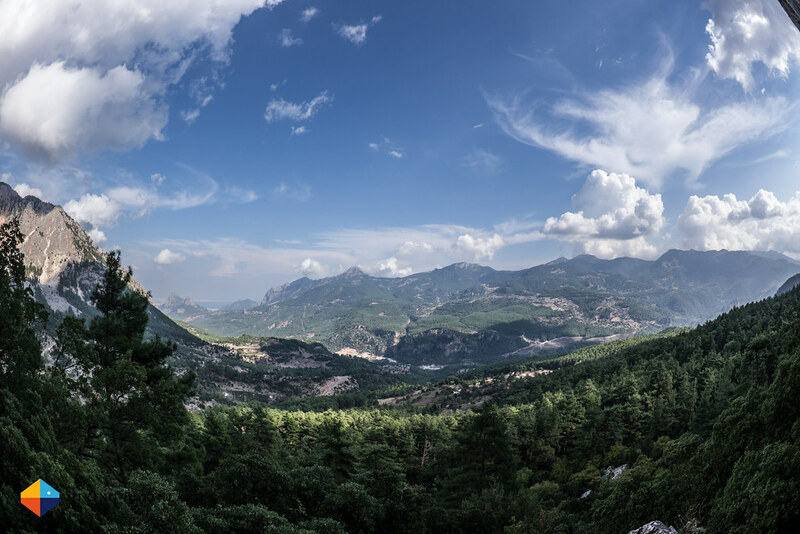 There’s a bunch of sectors at Olympos and from slabs to vertical and overhangs, from easy 5a’s to 8b+ you can find at least a dozen of routes per grade, with most of them in the 6 and 7 category. Sectors also are very varied, from a shady & narrow valley over high caves close to the sea to walls which are more in the sun. But if you don’t have trouble walking some 20 to 30 minutes you always can find a sector that’s in the shade - or just go relax at the wonderful beach and visit the ruins. 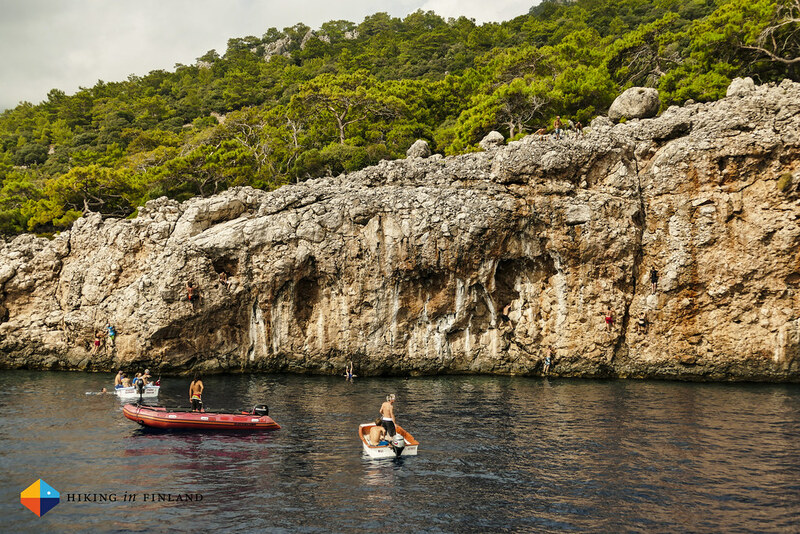 We visited half a dozen sectors while we stayed in Olympos, but the highlight for me was the Deep Water Soloing. 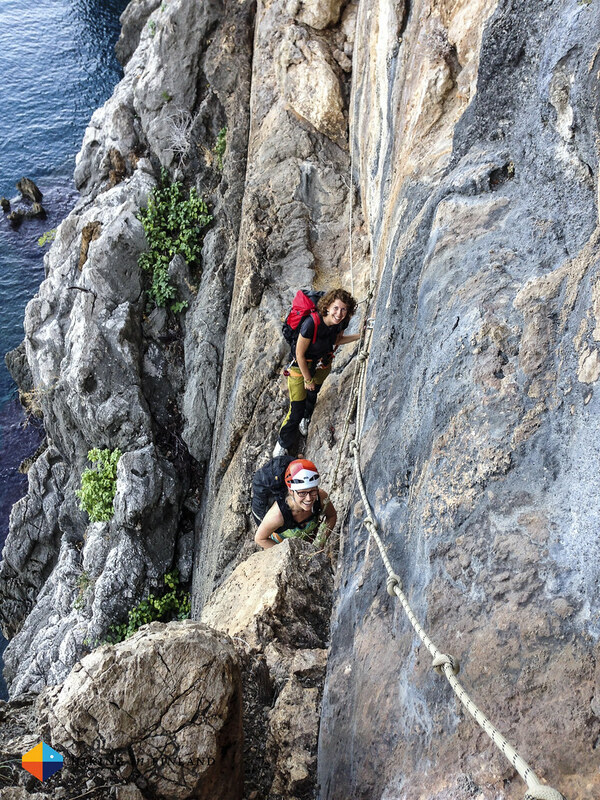 Being able to climb to your limit and then just drop into the water if you can’t anymore is such an excellent way to climb that I hope to do more DWS in 2015 and the future. It’s super fun and pretty much everyone enjoyed the experience, and if you ever get the possibility to try it you totally should. 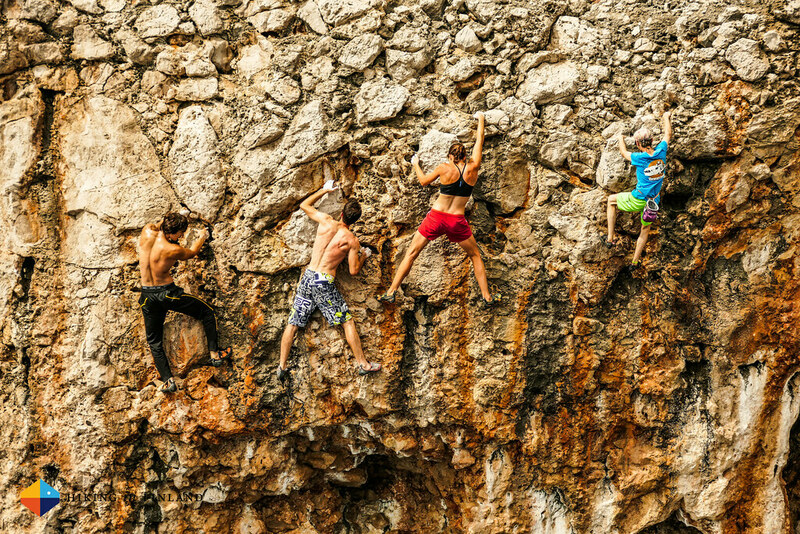 Just take (liquid) chalk and a small towel, your climbing shoes and a swim shorts/ suit and you’re set! 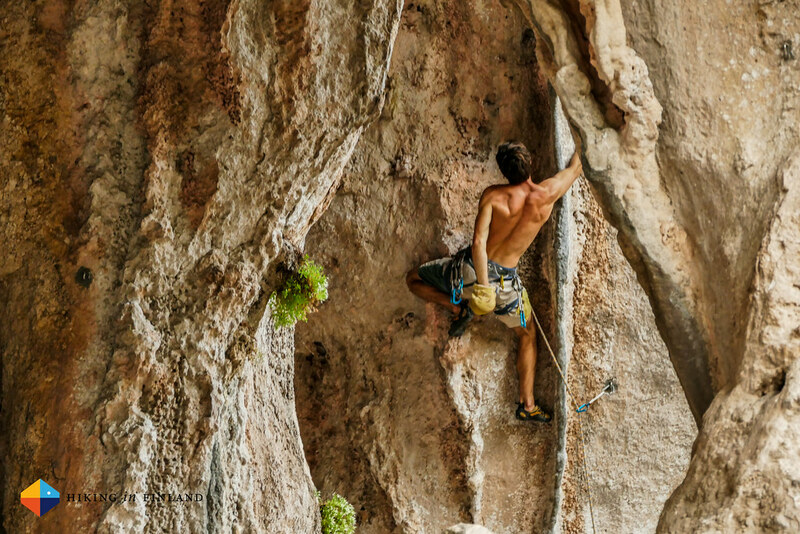 Also the other climbing at Olympos is great, and best of all is that it’s a very family friendly area. There’s dozens of accommodation options and the street to the National Park entry is lined with Cafés, Kiosks and small restaurants so you won’t starve or die of thirst. 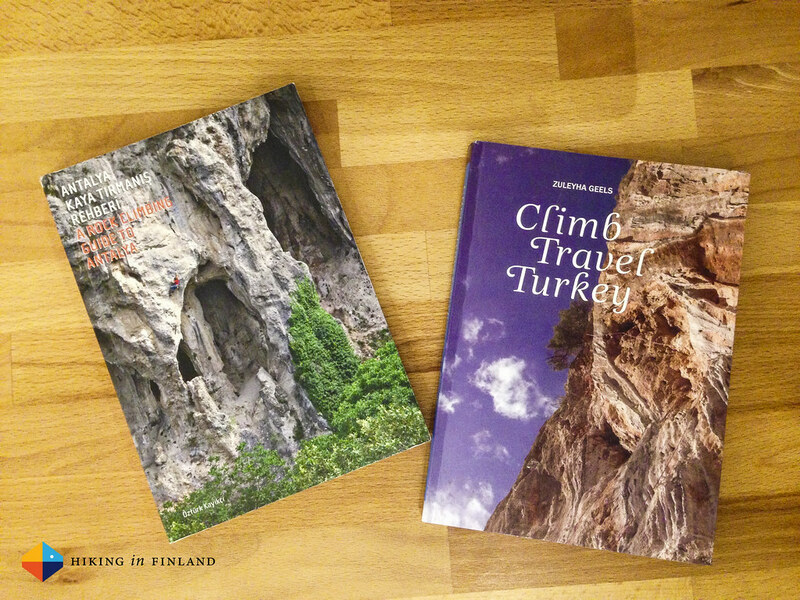 You wanna get the A Rock Climbing Guide to Antalya Guide book which covers all the areas mentioned in this post, and if you’re hooked on Turkey also get the Climb Travel Turkey book. You can get them with some luck online, but for sure you will get them at any of the Guesthouses/ Camping places in Geyikbayiri and Olympos. 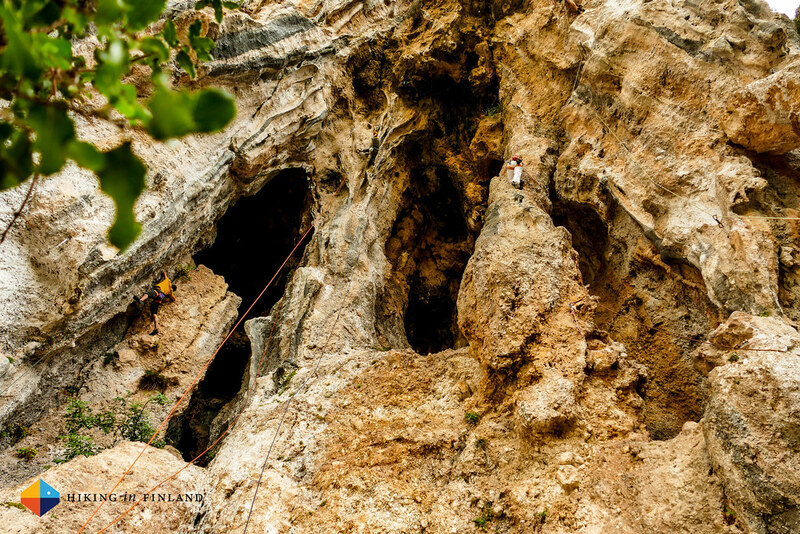 Both have a host of information on all that you need to know for climbing there, from gear tips to accommodation, food and of course detailed topos. 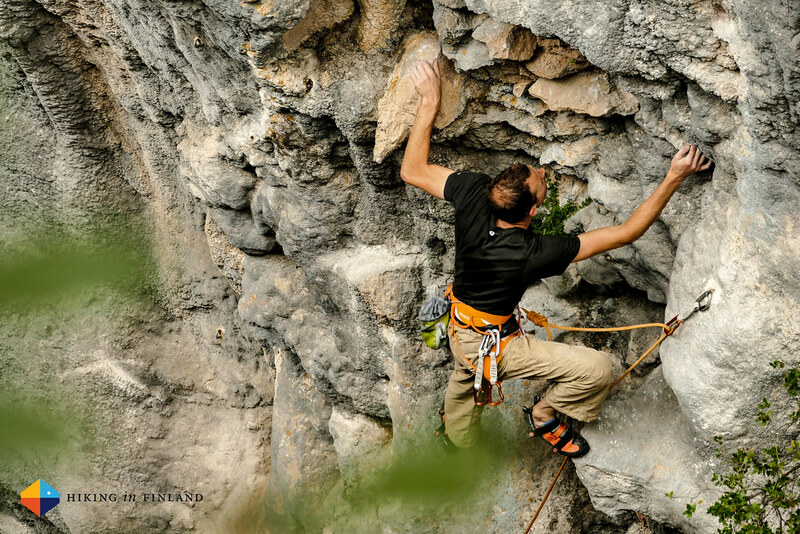 Online you can check out Geyikbayiri and Olympos Rock Climbing for some information. Flying into Antalya is the best option, unless you want to do your own road trip in Turkey. Getting around is easy & cheap via bus or more independent with a rental car, the latter could be useful if you want to visit all three locations. 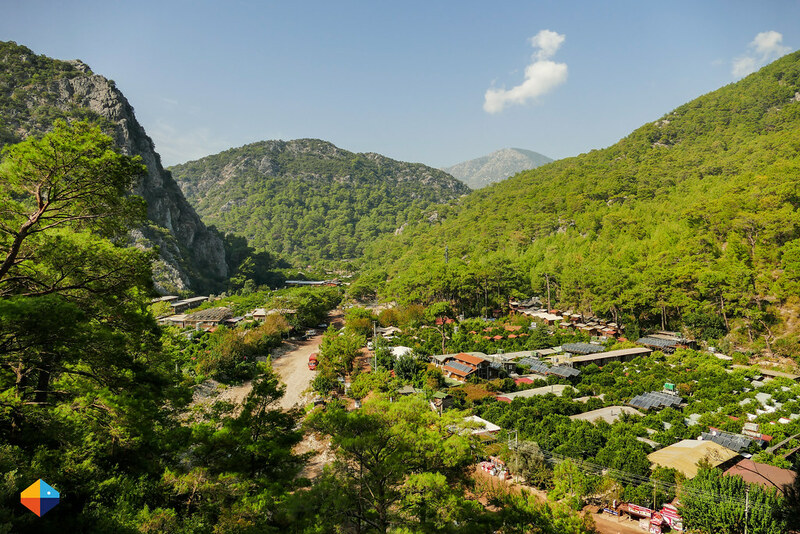 But the bussess to Geyikbayiri and Olympos are regular, and many of the guest houses in Geyikbayiri also might offer a pick-up from the airport. 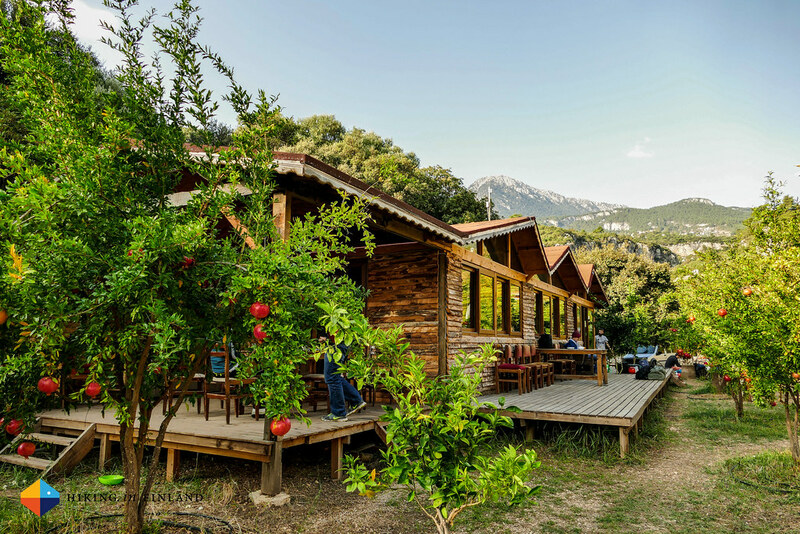 At Citdibi there’s only the Masal Refuge for overnight accommodation, but in Geyikbayiri and Olympos you can choose from several options. 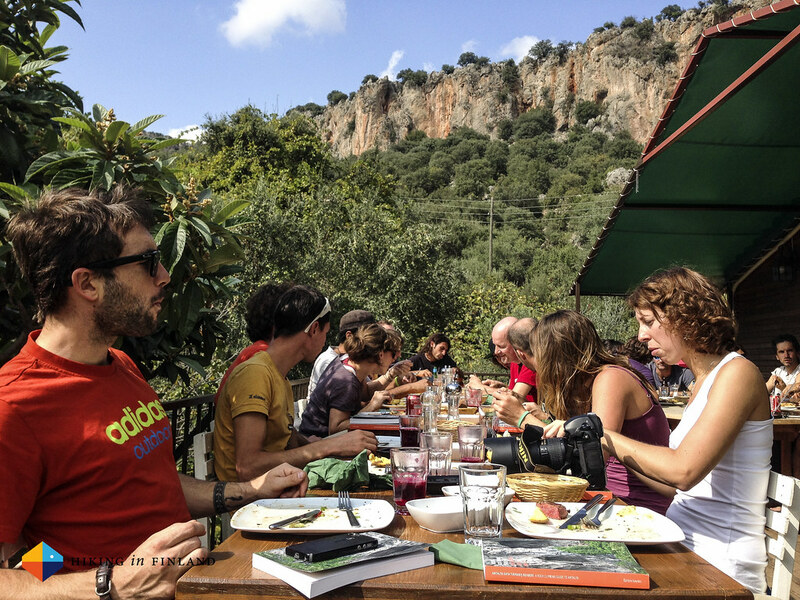 I liked Kezban’s Guesthouse and Climber’s Garden, both had friendly staff, where short walks away from the crag and had beautiful gardens where you can pitch your tents, pick pomegranates and olives and chat with climbers from Turkey and the world. 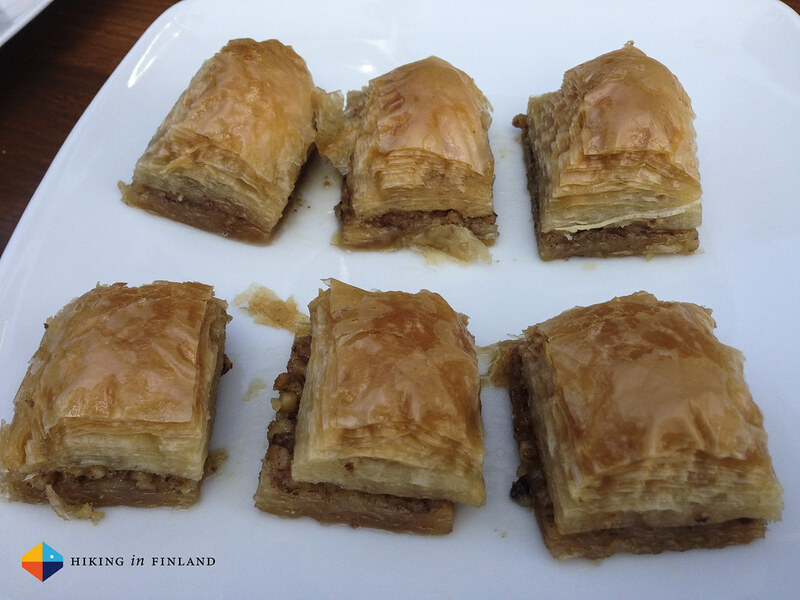 The food in Turkey was delicious and I recommend you try the local cuisine. Just be careful with the veggies at Kadir’s Tree House, especially the salad: They’re washed with the unsafe tap water and there were many that got sick from it, so better avoid the raw, washed veggies unless you have a really strong stomach who is not bother by a few bacteria. 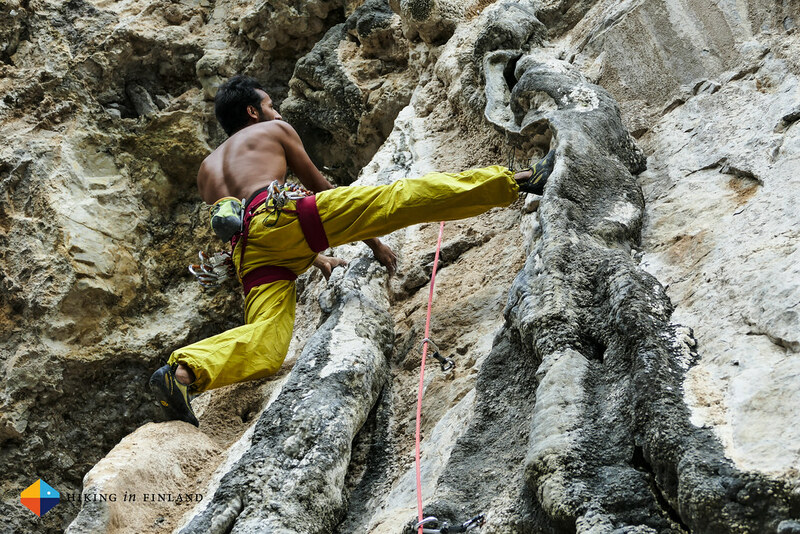 As for climbing gear, a 60 or 70 m single rope and 12 to 18 quick-draws should have you covered for most sports routes. 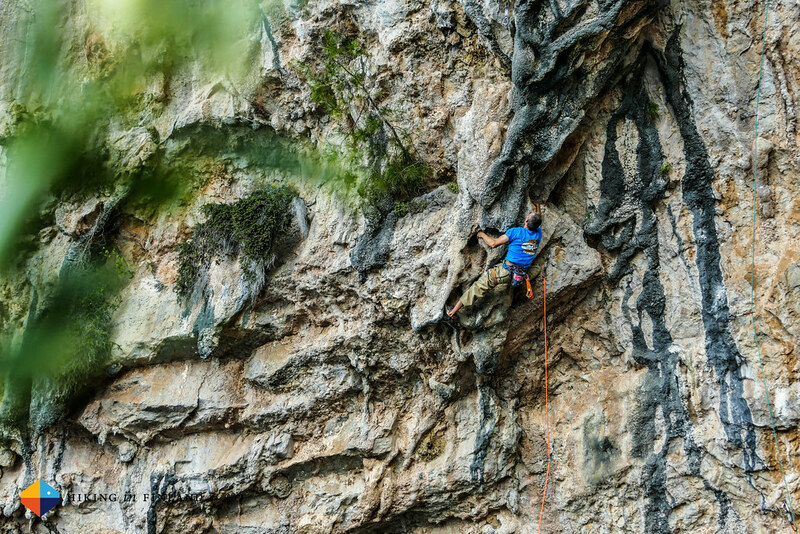 There are Trad routes around, but most of it is sports climbing so keep that in mind. 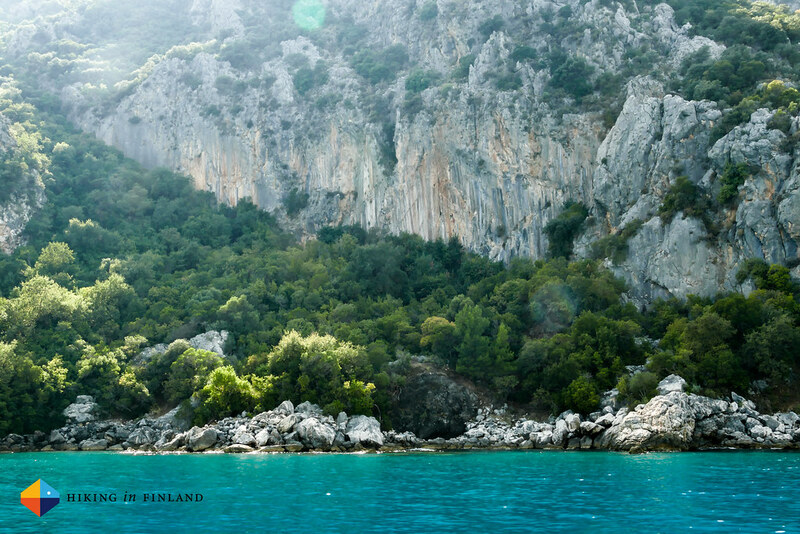 A helmet is recommended as there are overhangs and lose rock, especially at the sea-side sectors of Olympos. Don’t forget to take at least a 1 l bottle of water as it is hot and some snacks. The best time to go seems to be between September and June, with the rainy season being in December/ January and the hot summer in July/ August. As there are a lot of caves and overhangs these still could be OK. Finally, if I’d go again there I’d likely would go to Olympos. It’s super family-friendly with the beach and the other activities offered there and could be a great place to base yourself for a week with plenty to climb and explore. 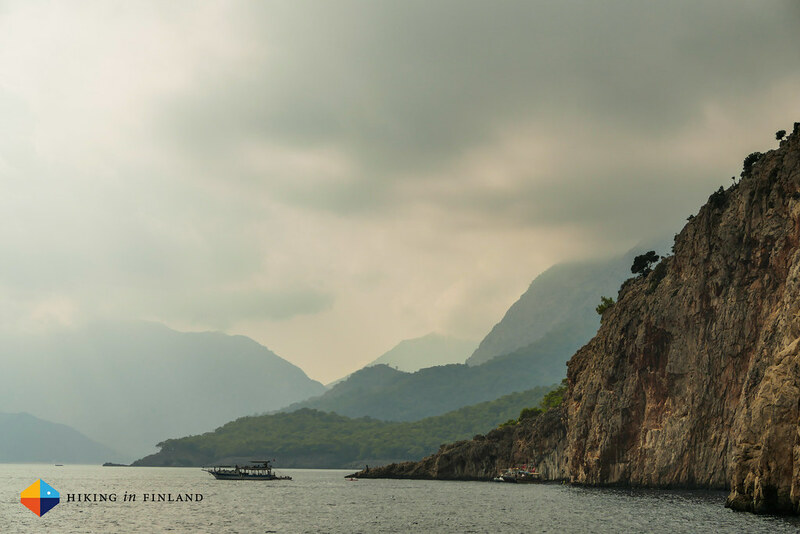 On rest days you can explore the ruins, go hiking, swimming or take a boat for a little cruise around the area. 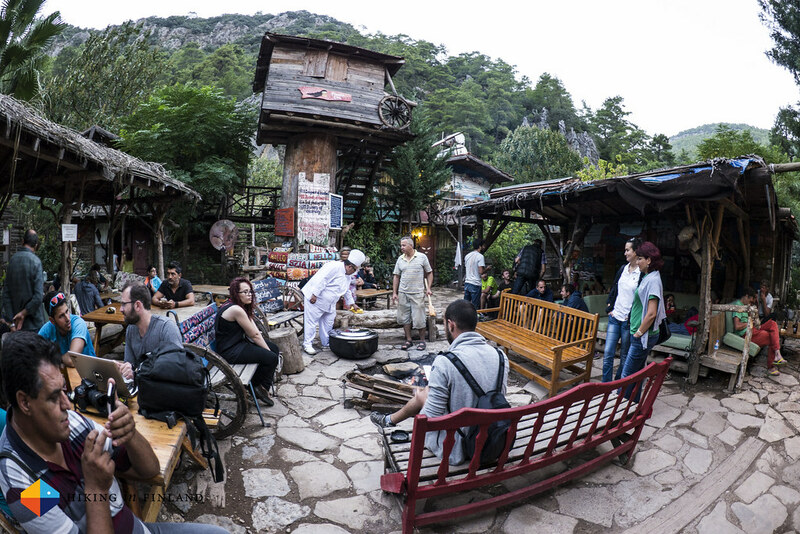 In Olympos you also have a lot of nice Cafés and Restaurants where you can taste the local cuisine, which you really should =) If you like some partying, then that’s also possible there with live music et al! 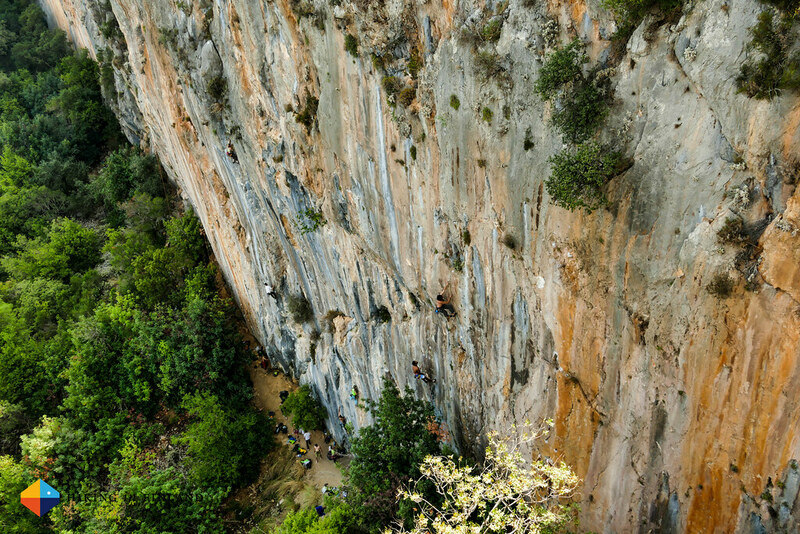 Olympos is also an host to a yearly climbing festival int he autumn, which would be good to check out if you’re in the area. 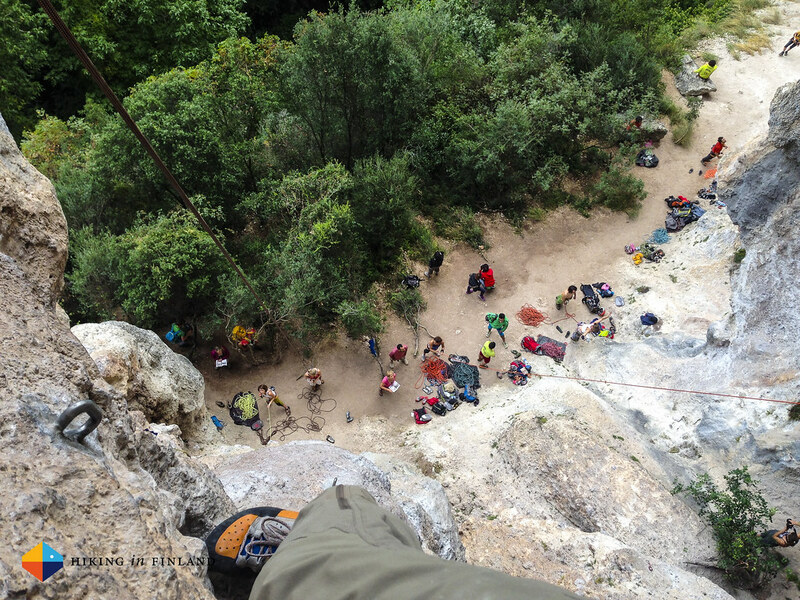 Many thanks to Petzl and Vandernet for inviting me to the Petzl RocTrip 2014!